Bodacious Banana Bread. Don’t throw those soft, ripe bananas away! 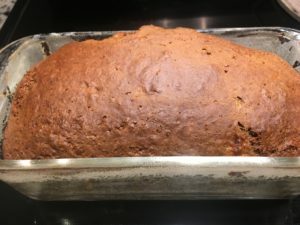 It IS possible to make banana bread without butter or oil and it came out moist and delicious. I had a couple of ripe bananas sitting around, so I threw this together and crossed my fingers. It’s a keeper. Preheat oven to 350 degrees F. Spray an a loaf pan with cooking spray. 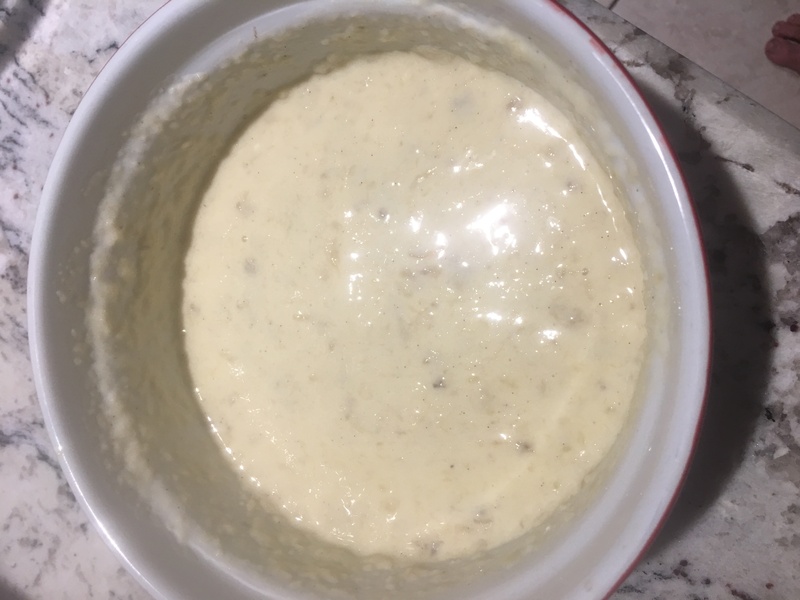 In a medium bowl, mash bananas. Add yogurt, applesauce, beaten egg and vanilla. In a large bowl, add flour, baking powder, baking soda, sugar and allspice. Whisk the dry ingredients to combine. Stir wet ingredients with a fork until well combined. Add the wet ingredients to the large bowl with the dry ingredients. Stir with a wooden spoon, scraping the bottom of the bowl and the sides until combined. Try to do this without stirring too long or gluten will develop making your bread tough. Pour mixture into loaf pan and bake for about 50 minutes or until a toothpick in the center comes out nearly clean. (Mine took 48 minutes.) Allow to cool for ten minutes, run a knife around the edge of the bread and invert onto a rack. Enjoy.